Editor's Note: This site recently reached 700 subscribers! Thanks so much for following along - it means so much to me that so many of you find this kind of wine info useful. If you're not subscribed with an RSS Reader -or- signed up for email notifications of new posts you can sign up here. I stopped and visited New York Retailer Empire Wine last summer on our way to vacation in Michigan. What an operation. Located within a large strip mall, I never would have thought to stop in if I wasn't aware of their reputation online. I couldn't believe the volume of wine they were pushing through their registers on a summery Friday afternoon. One thing I want this site to be about is helping friends find better wine values. Part of that is finding outstanding retailers who sell wine on razor thin margins. As I'm writing this I'm imagining co-workers and cousins looking for specific retailers to order from, and specific wines to get started with. I think 6 or 12 of the wines below would make a great stash of wines for the holiday season. $23 for what's sure to be a delicious red from Cakebread? Sold. Great producer. Love the ~$30 price point for high quality California Pinot Noir. Not the prettiest label in the world but this one over delivers for its price point. Bumps the price up a bit over the Cakebread/Caymus/Silver Oak ~$60 level, but it's worth the splurge. 97WS, great vintage. Getting harder to find these 2010s. Soter's a great producer and I'm looking to try more 2009 Oregon Pinots before they disappear. People love this producer and I'm hearing good things this 2011 Cru Beaujolais. Stunningly low price, even when shipping costs are included. Tasty fruit forward Napa Cab at a great price. Hard to go wrong with Ridge and priced in the mid-$30s this is a nice value. I always like including a bargain Spanish Monastrell to round out a case. Original referral on this one came from The Capital Grille. Big and bold. Robert Parker called this "Possibly the single greatest dry red wine value in the world" and rated it 90 points. 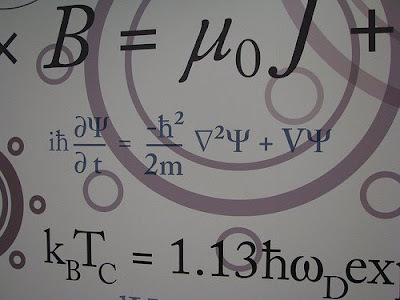 Plug this into the WWP QPR Calculator (what's that?) and you get 3.36: Very Good Value. I've enjoyed other Borsao wines before and I'd bet this one is good too. What do you have to lose at this price point? Wine Retailers: Do you have an e-commerce site I can peruse and build up a similar list? Drop me an email and let me know. I'd love it if you subscribed to The Wellesley Wine Press to receive email notifications of new posts. I'm working on some great stuff in the coming weeks. Blanchards Wine & Spirits is offering 10% off $100 orders with code CYBER10 -or- 20% off $250 with code CYBER20. Discount applies only to non-sale items (prices end in "9"). Full offer details here. The regular St. Cosme Gigondas (95WS/$41) got all the attention, but this one was rated 97 points. Nationwide low price here. Buy buy buy! Still some great 2007 CdPs around, and this is one of my favorites. Ample availability even for their single vineyard Pinots makes me refrain from buying their wines mailing list. Check out their 2010 Anderson Valley bottling for $37.99 before discount to get a feel for their style. If there was a "quality never goes out of style" winery for me, it's Ridge. Or maybe it's more like "nobody ever got fired for ordering Ridge". Hard to beat this wine south of $30. The 2008 vintage of this wine (96 points/$60) was recently named Wine Spectator's Wine of the Year. It was released quite a while ago and is very difficult to find. The 2009 was just rated 95 points and is still available. They have only a few bottles left so act quick especially on this one. An Oregon Pinot Noir recommendation here on the WWP? You've got that right! I've been on a roll with 2009s from Oregon lately and I've enjoyed Benton Lane south of $20 in the past. Grab this one as a filler. Blanchards can only ship to Massachusetts addresses. Orders placed online can be picked up free at their West Roxbury, MA location. Visit their website at http://blanchardsliquor.com to browse their inventory and place an order. Don't live in MA? Here's an offer from Wine Library with wider geographical applicability. Question of the Day: What are some of the better deals you see at Blanchards right now? Offer expires November 23rd, 2012 at 11:59 pm EST. Wine Retailers: Do you have a free shipping offer going that I could peruse online and build up a similar list? Drop me an email and let me know. Looking for a way to spend your voucher? They're offering a trio of gorgeous Cigliuti Barbaresco right now (producer of the WWP wine of the year 2010!) - and they can ship to Massachusetts. If I had a nickel for every time someone told me I should check out Table & Vine over the years I'd have at least a dollar by now. I'd heard it was huge. I knew is was owned by the Big Y Supermarket chain. I'd ordered from them several times. But until I visited the store in person I didn't have a good feeling for what it's like. Located in Springfield, MA -- about an hour and a half west of Boston -- Table and Vine is pretty easy to find. The store anchors a strip mall about 3 miles south of the Mass Pike off Exit 4. It's about as big as a medium sized grocery store with more than half of the floor space devoted to wine. The remainder of the space is devoted to beer and gourmet food. Immediately to the right upon entering is an area normally reserved for Bordeaux and New Arrivals. But on the Saturday afternoon I visited the area was hosting a wine tasting. For a $5 charitable donation you could taste wines from a half dozen distributors pouring their wines. From across the store I recognized Michael Quinlan. I chatted with him a bit to get an overview of their wine program and the layout of the store. I was reminded that Table & Vine is not only a wine retailer but also an importer which gives them sourcing and pricing strength especially on French and Spanish wines. From their offers and newsletters I've always suspected an old world slant, and Quinlan confirmed they probably focus on European wines than domestic. But what struck me most about the store was their strength across the board - in all categories and all price points. When checking out a new store for the first time, I always like to browse areas of familiarity first to get a feel for typical markups. First off, their discount policy is 5% off a mixed 6+ bottles and 10% off straight cases. Non-sale items excluded. They'll ship 12 bottles to MA addresses for $22 (MA retailers aren't allowed to ship out of state by law). Not bad. Quinlan said things are marked up uniformly, but in looking around it seemed like some wines were pretty good deals and other weren't. Take for example the 2009 Ridge Lytton Springs Petite Sirah at $29.99 - best price in the country. Contrast this with the Belle Glos Meiomi Pinot Noir at $19.99 which isn't a very good price compared to warehouse pricing. Quinlan, as kind, genuine and enthusiastic about wine as you can imagine, acknowledged they do buy certain wines in larger quantities than others which might account for some deals being better than others. This kind of variability subtly drives the deal hound in me to seek out the hidden gems; and seek guidance in categories I'm not as familiar with. Take for example the 2010 Wrongo Dongo Monstrell. I thought it was a great buy when I found it for $8.99 earlier in the year. On vacation in Michigan this summer I paid around $15 for it. They've got it for $6.99 before discounts. The domestic Pinot selection could use some expansion. Not that I'd expect it to align with my personal collection and account for half the store, but it's currently only half an aisle compared to Australia that's an entire aisle. Quinlan agreed this was out of step with current trends and may be due for an adjustment. A wine caught my eye that I'd been looking for was the 2009 Beringer's Knight's Valley Reserve Cabernet (now apparently sold out online). It was recently rated 94 points by Wine Spectator and they've got it for $44.99. I knew I'd done a Wine-Searcher search for it recently and wondered why it didn't show up. They do have it listed on their website so I asked Quinlan why it wasn't turning up on Wine-Searcher. He said they choose not to list certain items they don't have a lot of because they don't want to disappoint customers who might place an order only to find out later they couldn't fulfill. I can accept this, but it makes me less likely to notice they carry wines I might otherwise order from them. And it makes wine hunting online like searching for affordable airfare - you have to check the aggregators and the individual airline websites to make double dog sure you're getting the best deal possible. Sure, there are a ton of retailers out there who don't list at all on Wine-Searcher. But it's got to make you wonder whether you're really catching the best possible prices (not to mention availability) if you're only relying on Wine-Searcher - even Pro. Anyway - where was I? Oh yeah - perusing the shelves. They had all kinds of interesting stuff. Just when you think you're looking at the usual suspects you stumble onto something unique. Like 2011 Lapierre Morgon magnums for $49.99. Or a 2001 St. Cosme Cote-Rotie for $27.99 in the closeout section at the back of the store. Or Radio-Coteau Zinfandel - didn't even know they made a Zin. Or an assortment of wines from Donkey & Goat - I've wanted to try them forever. Update: I've tried it. It's awesome. Just when I thought I'd seen it all I remembered we hadn't been to the temperature controlled section of the store where they keep their nicer wines. Oh my - they've got some nice stuff. New stuff and old. Magnums of 2010 Donjon and Clos des Papes made me consider a flipping opportunity should one of them win Wine Spectator Wine of the Year later this week. Alas, they only have a few bottles of each so act now. Update: Neither won. Peter Michael Les Pavots. 2009 Baron Pichon-Longueville for $174.99. 2004 Harlan for $649. 2009 Lewelling Napa and Wight. Cayuse. All kinds of great stuff, and much of it not listed online. Quinlan rejoined us and I asked him what some of his favorite categories were. Like seemingly all other wine geeks he said Burgundy, but emphasized an interest in Spain. I learned about some of his favorites in the pricey cellar area but in an ongoing effort to keep wine expenditures within reason went for a $13.99 La Cartuja Priorat. Update: I'd open it later that night - outstanding I thought, and a great value. We'd easily been there an hour and a half by then so we had to get going. All 6 or so of the registers were humming, briskly ringing up customers. One more stop before we left and that was next door to their temperature controlled wine vault where paid customer orders await pick-up or delivery. A mind blowing assortment of high value wines -- mostly Burgundy and Bordeaux -- along with boxes of varying sizes, sorted by customer. Quite an operation. The sheer volume is staggering, not to mention the dollar value. All day, I was thinking about why I don't order more from Table & Vine. Not like I need another source of wine-budget draining temptation but for how much I complain about restrictive MA shipping laws it seems like Table & Vine is a retailer I should do more business with. I think there are several reasons why I've only placed a few orders with them to date. First, I think a small part of it is the shipping cost. $22 per case - less than $2 per bottle -- is very reasonable. But for some reason I have a psychological block against paying for shipping. It seems like a waste of money. I'll always wait for a free shipping special or a wine I can pick-up as part of my normal errands. But this isn't terribly logical considering the cost of fuel and wear and tear on a car so this isn't a rational concern. Second, I think their case discount policy actually stalls purchase decisions a bit. I know that if I band together with some friends and go in on a straight case I can get 10% off. But I usually want to try just a bottle or two of a specific wine so I don't go forth with the transaction. I wrote about this phenomenon previously here. I like it when the first bottle is offered at max discount. I'd like to see them to go that pricing model. Third, I haven't paid close enough attention to their email offers. They're not terribly big into the flash sale/deep discount thing and that tends to be where I'm spending a lot of my time lately. There is an ocean of good wine being offered at great prices and each of us only need to swing at the very best deals. Finally, I just don't spend time perusing their website poking around to see what's new. Knowing that wines like the Beringer Knight's Valley Reserve Cab are out there make me more likely to look around at their site from time to time (and pay closer attention to their newsletters). Ultimately, I think Table & Vine is best enjoyed in person. I had a great time checking out the store, and I didn't even have time to check out the beer or gourmet food. With the volume they're doing I have a feeling their turn through their 4,000 SKUs very quickly so there's likely always new stuff to discover. From November 22-26, 2010 they're running a 5% Off Gift Card sale. Stack these with their case discounts for larger savings. I wonder, too, whether credit cards which offer 5% back for grocery store purchases might apply to purchases at Table & Vine due to their Big Y connection. My credit card noted the details as "Grocery Stores, Supermarkets" so I bet it would. Bonus! Question of the Day: If you've done business with or visited Table & Vine, what do you think of them? If you live in MA and haven't ordered from them or visited what could they do better to earn your business? Looking to find wines from Wine Spectator's Top 100 list? Especially for wines in the Top 10 I've found Wine-Searcher.com -- usually the most convenient and efficient way to find specific wines -- to be less effective than usual due to listings that lag fast changing inventory. A better approach, I think, is to seek out dusty-bottled stores off the grid and make phone calls. Some might call the pursuit of the Top 10 wines to be a fool's errand. I disagree. In choosing their Top 10 wines, their senior editors get together and taste a bunch of candidates wines and come to a consensus on the Top 10. This is different than how they normally taste whereby a single editor determine's a wine's rating. So you've got a lot of respected palates agreeing on the top wines, so as long as you don't pay a premium for the Top 10 wines you're getting some of the better values in wine today. But how do you find them? You've got to act fast and, I think, you've got to employ unconventional techniques. You've got to look where deal hounds aren't looking. A friend tipped me off that a retailer about 20 miles away had the #7 Shea Willamette Valley Pinot Noir for $44.99 before 15% off a case. $38.29. I wonder how he found it because the retailer does have an e-commerce site, but it's not listed on wine-searcher. Making matters worse for this wine, Shea supplies grapes for a lot of other producers so listings for other wines make it hard to perform a precise string match. They did indeed have a listing on their site for 11 bottles of 2009 Shea Pinot Noir, but during the course of the week the listing changed to the 2010. Vintage variation being a real thing in Oregon I thought it was a mistake that was corrected after they got a lot of calls about the 2009. But they also had a listing for the 2009 Anderson's Conn Valley Reserve for the impossibly-low price of $23.99. I had to go down there and see what was going on. So I get there and wouldn't you know it, there's 11 bottles of 2009 Shea Pinot Noir on the shelves for $44.99! I load up a basket and start eyeing other bottles to round out my case. The 2009 Anderson's Conn Valley was, sure enough, a listing for another wine - the Prologue. Good thing I didn't order a case for delivery and then have to get into an ugly discussion about returning it (including shipping costs). Then I spotted a stack of 2009 Beringer Knight's Valley Cab for $21.99/btl before discount (not the reserve, but still a 91 point WS wine). High volume retailers are on to the 2010s by now so it was great to see the 2009 still for sale. Again Wine-Searcher doesn't turn this one up, but it's because the wrong vintage is listed on their site. They list the 2006 but it's the 2009 they've got stacks of! I asked the wine director there what the heck was going on with the inconsistencies between the store and the website. He says he runs the bricks and mortar wine business and someone else runs the website. So I'm thinking I may be on to something. Even for a retailer with an e-commerce site there's all kinds of hidden gems popping up because of inconsistent vintages being listed. Imagine the gems that might be out there for retailers without e-commerce sites. Heck, without websites! The way to find these wines is to look in wine shops off the beaten path. Off the grid. Away from Wine-Searcher types like myself. Of course, just as I say this I happened to find a bottle of 2008 Shafer Relentless via Wine-Searcher at a nearby MA retailer for $35.99. A $60 release price wine, it was correctly listed as being Wine Spectator's Wine of the Year. But also, incorrectly, from France. (?) After some quick back and forth with the retailer we discovered quite a mix-up of SKUs. They actually had the 2009 Relentless (not the 2008) but it was $74.99. The $35.99 listing was for a bottle of 2008 St. Cosme Gigondas (hence the part about the Relentless being from France). Crazy stuff. I don't get mad about mix-ups like these at this point. I actually find it interesting. So long as I don't get into a sticky situation where a jerky retailer ships me the wrong stuff then get contentious about rectifying the situation. One strategy this makes me consider: Use Wine-Searcher to find retailers who list availability of back vintages who might not have updated to newer vintages yet. Then pick up the phone and call them. You never know what a retailer has, and neither do they it seems, until you have it in your hands. Wine online: What a fun and chaotic circus. Wine Spectator is set to release their Top 100 list today (in addition to their reveal last week of the Top 10). 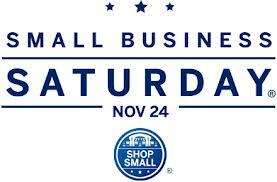 They have free site access through November 27th, 2012 so check it out. Question of the Day: What tips and tricks have you found work well for tracking down hot wines like these? Wine Spectator revealed their 2012 Wine of the Year today and I don't think anyone saw this one coming. The winning wine was the 2008 Shafer Relentless -- 96 WS/$60/3,300 cases produced. First, Wine Spectator has now chosen a wine from California the last 3 years. Last year was the Kosta Browne Pinot Noir (Sonoma) and the year before that was the Saxum James Berry (Paso). Taking it further, the prior winner was also domestic - the Columbia Crest Reserve Cab. Taking it even further the year before that was the Chilean Clos Apalta. This makes it 5 straight years of new world wines. I think a lot of us thought it was time for an old world wine to win, and with the great vintages from France rated this year the timing seemed right. Further, there's been some speculation that Spectator likes to spread the task of writing up the wine of the year around their senior editors. Poor James Laube had to do the write-up once again! Oh well, I guess he gets bragging rights that he's selected the Wine of the Year 3 years in a row. Second, I think a lot of suspect that they're going to choose a wine from a region whose story they want to tell. For wines released this year, that story seemed almost certain to be from 2010 Rhone. Or 2009 Bordeaux. But what story is there to tell from 2008 in Napa for a somewhat quirky blend like the Relentless? Not much. It seems to be a play towards telling a story from a specific winery rather than a category. Finally, Spectator just rang the bell a couple years ago for a California Syrah blend with the Saxum James Berry nod. That wine is a Grenache/Mourvedre/Syrah to the Relentless' Syrah/Petite Sirah but still -- it seems strange to have another wine so similar to the Saxum just 2 years later. I admit: I was stunned by the California selection. Didn't see this one coming. The only time I had the slightest hunch there might be a California wine selected was when I was watching their Top 10 videos and James Laube (their editor for the wines of California) only made one appearance for wines 10 through 2 for the Beringer Reserve Cab selection. But I didn't expect California to take the top spot this year because there hasn't really been an extraordinary category from California rated this year. So, it was a well-played suspenseful list from Spectator. And a well-played entry from Scott B! I do appreciate the actionable nature of this year's pick. I bought the bottle I tasted from Wine.com of all places - not exactly a boutique retailer! Availability at the time of the announcement of the 2008 Relentless was limited to begin with since the wine was released and rated early in this year's cycle. And even the 2009 vintage (which I'd bet is just as good if I had to guess without having tasted the 2009) is vaporizing quickly. For my taste, this is a gorgeous bottle of wine. A powerful, inviting nose of dried blueberries and black currant with supporting savory notes which translate seamlessly to the palate and finish. 75% Syrah/25% Petite Sirah. 15.6% alcohol. $60 release price. I can totally see my way to the favorable rating Spectator bestowed upon this one. Spectacular. Somehow I forgot to include a numerical rating. (?) What's up with that? I love scores! My recommendation would be to remain calm if you're looking for the 2008 Relentless. It's going to be very difficult to find and it's not worth overpaying for. For my palate, it's a nice buy at $50. But north of $60 my enthusiasm tapers off. Best bet would probably be to try it at a restaurant (they tend to go through highly rated wines at a slower clip because point chasers ability to devour the wines is stymied by overall high markups and meal costs). Or perhaps at retailer who doesn't have an e-commerce site. May the best searchers win! And if it's like the Columbia Crest Reserve - the next few vintages won't be too exorbitantly priced after a while. You can find subsequent vintages of the CC Reserve happily resting on warehouse club shelves with no buyers even in the mid to high $30s. Do you really think the 2005 vintage of that wine was magical and subsequent vintages haven't been as good? The fun had to end some time. My thanks to everyone's enthusiastic participation this year. We'll do it again next year! So that ends the fun for this year. Back to our regularly scheduled programming. I'd love it if you subscribed to the site - we've got a lot of fun things to talk about in the coming weeks. I might even motivate and crank out my own Top 25 this year. Question(s) of the Day: What do you think of Spectator's Shafer Relentless pick? Have you seen it around at retail? If so, let us know in the comments! Wine Spectator revealed wines 5 through 2 in their 2012 Wine of the Year campaign. It was largely a return to normalcy that, in one sense, calmed the experts in our Scoop the Spectator contest, and set up a cliff hanger of sorts to see which wine will be named their Wine of the Year. What can I say about this one? This wine has won the whole thing before, but I have a hard time even spelling it. Sauternes, a dessert wine from Bordeaux with honey-lemon flavors and a quirky after taste, is a bit of an acquired taste that I haven't acquired yet. I think what we're seeing here is how reluctant they are to repeat a wine. The 2005 Clos des Papes was Spectator's Wine of the Year in 2007 - can you imagine the groans and zzz's they'd hear from subscribers if they repeated the same wine just 5 years later? What new story would they tell? Great birth year wine (I've got the '05 and '07 set aside for that purpose) but how many $100+ bottles do we need in our lives? I don't think this nod does much to move the market on this wine. All of the good news was already baked into the price. Even when it won it didn't escalate out of control and could still be found months later. And the well-regarded 2007 was widely available for around $100 for a long time as well. It's a great wine, but Spectator can only move the market on a widely available $100 wine so much. 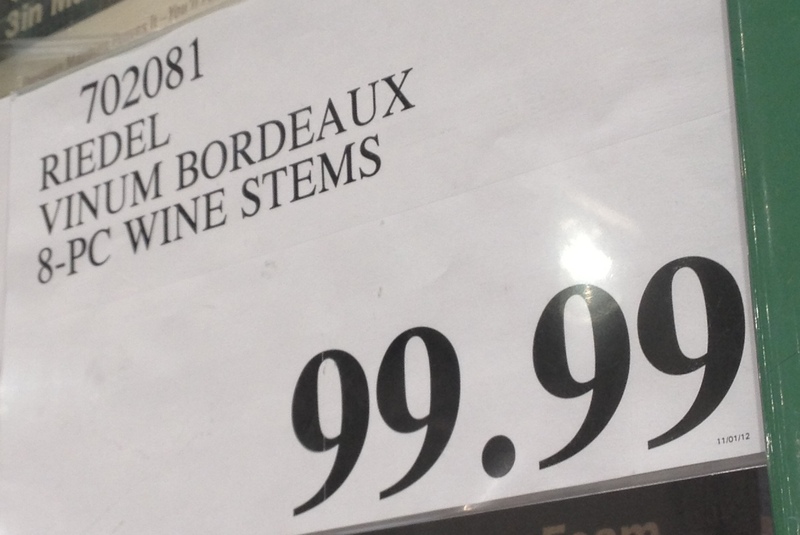 This wine is always in the Top 10 and you frequently see at at Costco at a fair price. Spectator seems to love it, and as much as Harvey Steiman (who rates their Australian wines along with other categories) has turned me on to some great values I like the more affordable bottlings from Two Hands better. Kind of like the Schild they seem to go nuts for every year that's got great QPR metrics but ultimately doesn't taste very good in my opinion, I'm a pass on this one. But I probably shouldn't bash it until I try this vintage. But I must note the love shown for Chateau de St.-Cosme. Louis Barruoul was at our Wine Experience last month presenting his Gigondas Valbelle 2009, our #10 wine of 2011, and both he and the wine were extremely impressive. I hope you all get to enjoy some of his wines, no matter what rank they may take in our Top 100. Kind of a "their wines are great! we love 'em! but we could only have one winner!". I think this wine getting the number 2 nod (as opposed to number 1) is a good thing for people wanting to buy this wine because it won't vaporize quite as quickly as if it had won. But the net of it is St. Cosme is on value hunter radar screens now more than ever. I'm interested in trying other bottlings from them. They crushed it (once again) this year. Although @EvanDawson (our first entry this year) is in the lead now, I think we all agree it's likely someone has guessed the winner already. I've got to think it's @RichardPF's entry - the 2010 Le Vieux Donjon. There might be some concern about 2010 Rhones taking 3 of the top 5 spots, but I think since the Cosme is a Gigondas and not a true Chateauneuf-du-Pape the Donjon is still the favorite. I've heard of some panic buying of this wine today - kind of like the rush on D batteries before Hurricane Sandy. @NWTomLee has been beating the drum for 2009 Bordeaux. It was a great vintage for sure, but so was 2010 Bordeaux. Further the Leoville Barton was already in the top 10 along with Sauternes. I think Bordeaux is done in this year's Top 10. More importantly - where's the value in Bordeaux? I don't see it. But I could be eating my words tomorrow! If the Donjon doesn't get it, I think it would be a statement from Spectator that the wine wasn't all that great. Remember, a panel of their senior editors get together to taste the contenders for the Top 10. I've tried the wine, and it's tight. It needs time. But I think they can see through that near term stuffiness and I think it will win. If it does, expect the price to shoot through the roof and further fuel interest in future Top 10s. It's a wine you've likely walked past if you've been an a fine wine shop the past couple months. As of this morning you could still find it in the $50 range. And Magnums for $110. Certainly a great arbitrage/flipping opportunity if you think this is the one! I've never resold a wine ever and I'm not interested in starting. But if I had to bet I'd think this is the one. But you never know - a Bordeaux could sneak in there. We shall see tomorrow at 11 am Eastern. If you haven't already, have a look at the videos Wine Spectator produced for each of the Top 10 wines. They're quite good I think and provide insight into how to pronounce some tricky French wine words. So what do you think? Will it be Chateauneuf or Bordeaux in the top spot? Wine Spectator began revealing their Top 10 wines of 2012 today and there were more surprises than ever. Of the 5 wines revealed only 1 was guessed in our Scoop the Spectator 2012 contest - a shockingly low number. Surprising because Spectator tends to favor wines south of $100 for attainability purposes, plus Argentine Malbec is a value driven category so this pick is seems particularly strange. Where's the value? A bit of a surprise because it didn't hit 95 points. But $60 is a good price for a really nice bottle of Brunello and thanks to healthy availability it can be had south of $40. Definitely buy a bottle of this one. This one was the only one that wasn't a surprise. In their 2009 Napa Cab report this wine sticks out like a sore thumb in a good way. It's hard to find a 94 point rated 2009 Napa Cab for less than $100 let alone less than $50. Expect this one to vaporize quickly. Buy buy buy! I think this was the most surprising of the surprising picks because none of the wines from the heralded 2008 vintage made the Top 10 and now a 2009 makes the list? Crazy. The availability, at least according to Wine-Searcher, is a bit quirky. I'd expect to see more of this wine around given its production level. Maybe they've moved on to the 2010s by now? I'd be up for trying some. < $40 for a 94 point Oregon Pinot Noir is hard to find. Shea puts out a classy bottle of wine. Okay, this one wasn't a huge surprise in hindsight either. Bordeaux isn't cheap but the metrics here stack up well and the wine is still available. I'd expect one more 2009 Bordeaux in the Top 5 (Pontet Canet maybe?) but I'd be really surprised if less than 2 2009 Rhones were in the Top 5. So as of now, Joe C is in the lead for the $200 Amazon gift card courtesy of Grapes the Wine Co. Check back tomorrow as Wine Spectator reveals wines 5 through 3 tomorrow. Parker rated it 88-90 from barrel and evidently never released a rating for the finished product. Well, Donjon is a top name. I hadn't tried many 2008 CdPs prior to last night when I popped a 2008 Clos des Papes Chateauneuf-du-Pape to get a feel for the vintage. That wine carries a $100 release price and is starting to be discounted as well. 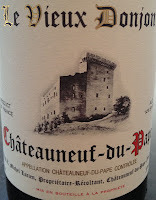 I rated it 92 points (to Wine Spectator's 95) and felt it lacked some of the power and flavor markings I look for in CdP. That said, I thought it was an incredibly enjoyable wine. So what to do? Buy from a great producer in an "off" vintage? Or go for something like the 2010 St. Cosme Gigondas at a similar price point? Decisions, decisions. The 2008 Donjon currently carries a 90.2 CellarTracker Community rating. Question of the Day: What do you think? Deal or no deal? PS If you're looking for Wine Spectator to start revealing their Top 10 wines of the year, it's been pushed back to Wednesday due to Hurricane Sandy. Subscribe to the WWP for the latest on that. So I'm driving back running some errands last weekend (a visit to Guitar Center and Home Depot in case you were wondering) and I see an illuminated OPEN sign in the window of Metro West Wines. I'd heard about this business popping up in Natick just over the Wellesley line on Route 9 on The Swellesley Report but I hadn't noticed they'd opened for business yet. So I pop in and have a conversation with the two guys behind the operation - Fred McIntyre and Paul Lavallee. 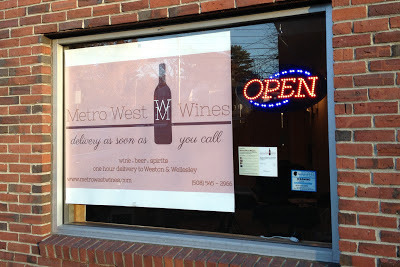 They've set up Metro West Wines as a DBA (doing business as) of Nine East Wine Emporium which they share a building with. If you've traveled east on Route 9 entering Wellesley you've seen Nine East's "25% 2+ Cases" sign. They're one of several retailers that have set up shop right on the Wellesley border to offer ready access to alcohol for Wellesley residents. Although Wellesley restaurants are allowed to sell alcohol with meals liquor stores aren't allowed in Wellesley. This limitation, along with an interest in providing the convenience of fast delivery to Wellesley and Weston is the main thrust of Metro West's value proposition. Currently, they're asking for a $50 minimum order and charge a $15 delivery fee. They deliver wine, beer, and spirits to Wellesley and Weston within an hour. I spent about a half an hour or so talking with Fred and Paul. They're enthusiastic, motivated guys. They come from a tech background and paired with Nine East's assortment of products they've got some nice things to offer. By law Metro West's pricing must be exactly in line with Nine East's. They shared that the idea for the business came from looking around at Weston and Wellesley households who have their dry cleaning delivered, their groceries delivered, their lawns taken care of, and take-out delivered a few times a week. In Manhattan you can have practically anything delivered to your apartment quickly. They feel there's an interest in eliminating "one more stop" from people's hectic schedules and they're here to serve. I wish them the best in this new endeavor and I'm pleased to have them on board as an advertiser here on the WWP. Hopefully for a long time. Question of the Day: Under what circumstances would you take advantage of a service like this? Have you heard of similar services in other locales? What suggestions would you have for a business like this? It's been a fun couple weeks seeing the entries pour in for Scoop the Spectator 2012. A well-timed post by @EvanDawson over on Palate Press -- In Defense of the Wine Spectator Top 100 -- discusses the Top 100 list and has some interesting data on price increases for the winning wine. the Wine of the Year does indeed see a sharp increase in price. Over the past decade, the average release price for the Wine of the Year was $67.60; the current average price is now $172.50. That’s an increase of 155%. But if we discard the past two winners, the Kosta Browne 2009 Sonoma Coast Pinot Noir and the Saxum James Berry 2007 Paso Robles, the price increase falls to 95%. Dawson goes on to note that the price hike generally evaporates for the next vintage of the winning wine and that the price increases trail off quickly as you go down the Top 10. How about the rest of the top ten? Turns out only the runner up wine sees much of a spike in price soon after the list comes out. The average release price for the runner-up wines was $68; today you can get those wines for an average of $100.50 per bottle, an increase of nearly 48%. The 10th-ranked wine has seen a price increase of 22%, which is not nothing, but not exorbitant in the higher-end wine market. The piece goes on to mention our Scoop the Spectator contest and notes that you all have successfully predicted the winner each year the contest has been run. Now, I used to think the entire concept of a Top 100 list was silly. This year, mine was the first guess on Dwyer’s site. As Dwyer explains, his contest is designed to help consumers. “The fundamental motivation for knowing the winning wine ahead of time is to provide an opportunity to buy that wine before the street price goes up,” Dwyer told me. 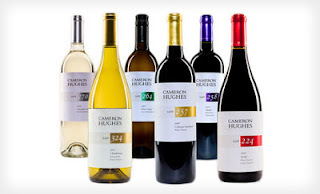 How do you know that you can get the winning wine based on Dwyer’s contest? Well, so far, Dwyer’s contestants have sniffed out the winner in advance. Have one of you guessed the winner already? I think so. The Wine Spectator reveal starts Wednesday (pushed back a couple days by Hurricane Sandy). We'll keep the contest deadline tonight - November 9th, 2012 at 11:59 pm Eastern. While you're waiting, jump on Grapes the Wine Co's wine offer email list. Despite being without power at home and at the store he's still been pounding the offers, with a particular focus on 2010 Rhone (How Could it Not Be 2010 Rhone?). Gotta love it. Thanks again to all who have entered. And good luck! Wellesley Wine Press: You have a knack for finding wines that appeal to wine enthusiasts interested in discovering delicious new wines without stretching too far out of their comfort zone. In a nutshell, what’s your philosophy for choosing wines by the glass for The Capital Grille or for events like this one? George Milotes: "For me, it is all about wines that are well-made and taste good. As solid winemaking practices have spread around the globe, there is a greater pool of diverse and tasty wines to choose from. We love to find areas or wines that are overlooked or underappreciated. Hence, the Tarima Hill Monastrell is part of The Generous Pour Wine Event this year. Monastrell is the greatest underappreciated red in the world today from a growing area (Alicante) that is barely known in Spain, let alone here in the US. We feel privileged to introduce the wine to the U.S. while showing our guests something new and delicious." Here are three winners I've enjoyed. The price points are unreal and the wines are outstanding. The Capital Grille has redesigned their website. Have a look if you haven't visited recently. Scoop the Spectator ends Friday! Get your entry in if you haven't already. Question of the Day: What are some of your favorite Monastrell? Living Social is offering $20 for $40 at Wine Enthusiast. Shipping tends to be pricey from Wine Enthusiast, but I don't see that the cost of shipping is explicitly excluded from this offer. It's unclear to me whether one would be able to stack this voucher with other offers, but I thought to mention this offer if you've been eyeing wine accessories from Wine Enthusiast. Offer ends November 12th, 2012. 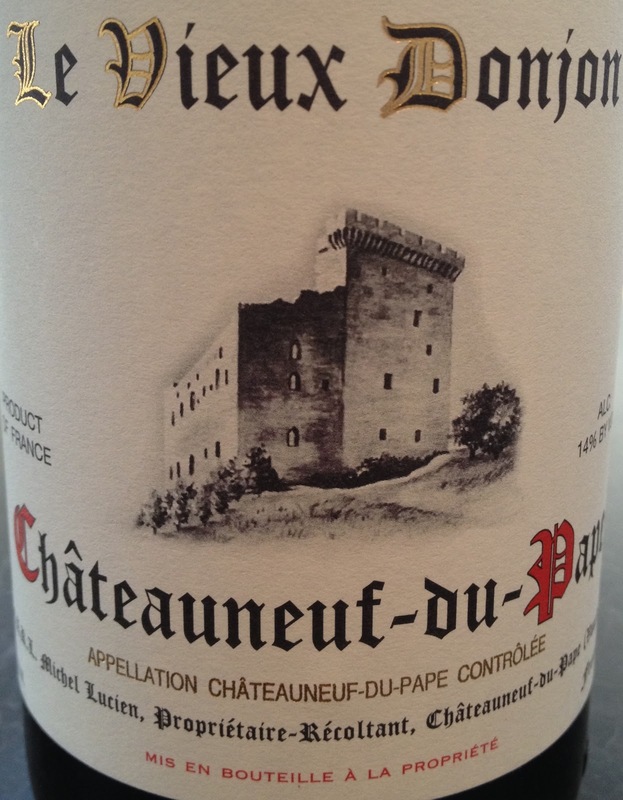 With all the excitement surround 2010 Rhone as it relates to Scoop the Spectator 2012 I thought it would be interesting to pause for a moment and focus on the best actionable values in 2010 Chateauneuf-du-Pape. When I say actionable I mean wines that can still be had at retail for at or below release price. But determining value is a little more complicated. Sometimes when people talk about value wines they really mean wines under some arbitrary price. But the deal hound knows that value can be had at all price points - it depends on what you get for your dollar. When scanning through the ratings and prices in Wine Spectator's recent 2010 Rhone issue I noticed they didn't have a Top Values section for 2010 Chateauneuf-du-Pape. Although they did have a Top Southern Rhone Values section (CdP is part of the Southern Rhone) it was capped at $20. That being the case there were no CdPs in the value rankings. We can scan the Top CdPs for good Quality-to-Price Ratio (QPR) wines but I thought I might be missing some good wines because the lowest rated wine in that list is 94 points. Normally I try to obtain these wines and taste them to offer an additional opinion to consider. But these 2010s, from what I've tasted, really need time to be enjoyable. Compared to the gregarious 2007s, these 2010s are more classically styled. That being the case, I doubt I'm going to pop a lot of these in the near term, least of all before the best values have disappeared from retailers. Some of these we've talked about before -- Four 2010 Chateauneufs that have a very real chance of slipping away -- but those four wines were more through the lens of which CdPs have a shot at winning WS Wine of the Year. I wanted to push a little further to find the 5 best CdP values you can still actually buy. 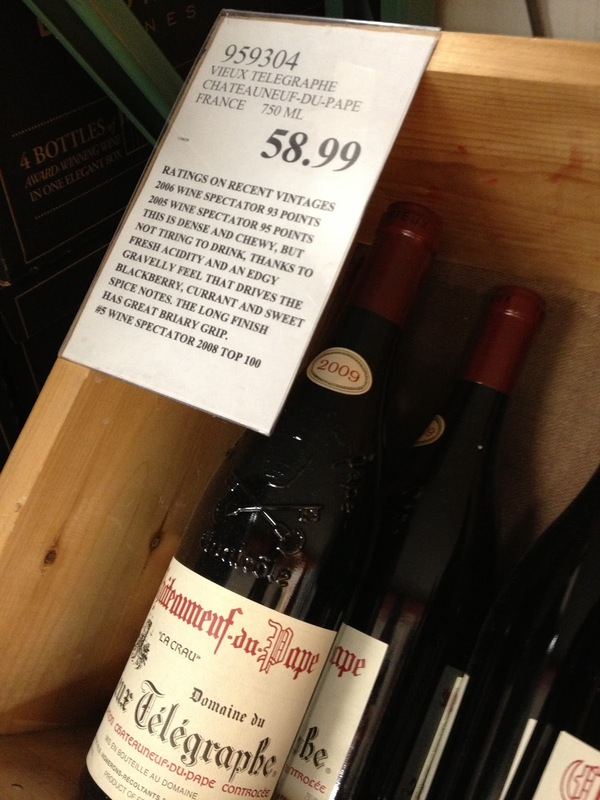 Note: Beaurenard also makes a regular CdP bottling that's also a nice value (93WS/$44). RP only went 91 points on this one so this should temper enthusiasm a bit. Note: There is a 92WS/$34 "Cuvee de Baron" bottling as well (also a good value) and some retailers list a Rouge bottling which I don't see a rating for from Spectator. Note: A whopping 97 points from RP on this one so I'd expect it to go quickly. Note: They also produce a pricier Vieilles Vignes bottling (94WS/$62). 93 RP as well. Note: Even when the 2005 won Wine of the Year it could still be found for just slightly over retail. I wouldn't go too nuts trying to track this one down. It's out there. 99 RP. Hope this is useful. If you haven't already, don't forget to get your entries in for Scoop the Spectator 2012! Many of these wines haven't been guessed yet. Contest ends Friday and we're playing for a $200 Amazon Gift Card. Thanks for the entries so far! I've updated each of the entries with Wine-Searcher links to make it easier to find these wines. 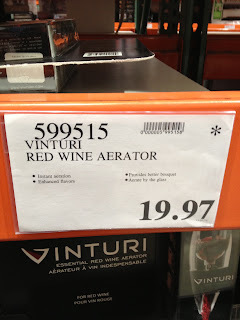 Just back from a shopping trip to Costco in Waltham, MA and they had what I thought were some very good deals for wine enthusiasts. Vinturis normally sell for closer to $30 on Amazon. The price ending in "7" at Costco is our cue that it's a closeout so buy now if you want one at this price. 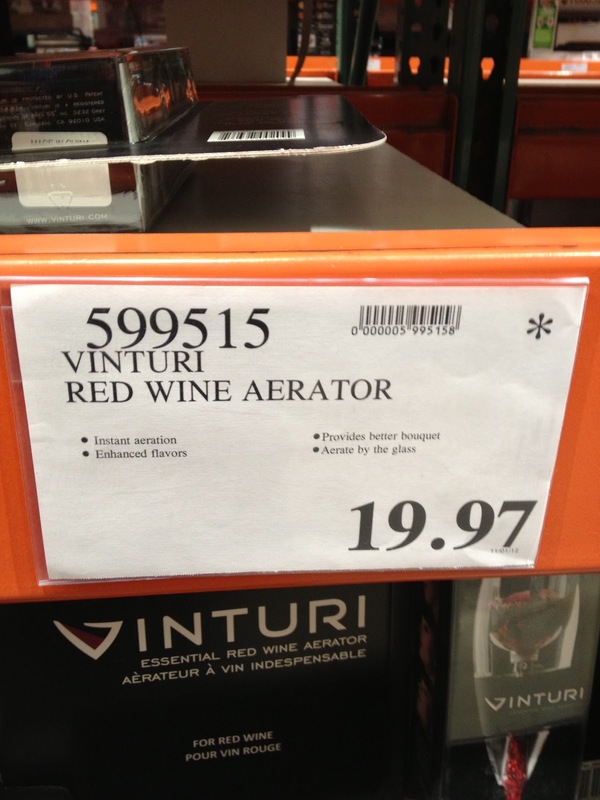 Full video review of the Vinturi wine aerator here. So two nice deals and we haven't even hit the wine section yet. For those unfamiliar with Massachusetts liquor laws, it's illegal to sell wine contingent on a club membership so alcohol needs to be sold separately from other goods. Non-Costco members are allowed to buy alcohol without a membership. So alcohol is sold past the register in a separate caged area. Crazy, right? Anyway, they've usually got pretty good deals on wine but the inventory is rather static. When they do get something good in it goes quickly. If you had a mole inside Costco it would be handy. They had a few wines I took note of that I hadn't seen before. 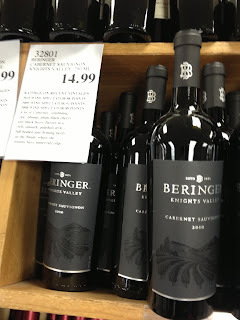 First was the 2010 Beringer Knights Valley Cabernet for $14.99. With no tax on alcohol in MA this is a phenomenal price. The lowest I see nationwide on wine-searcher.com is $16.98. 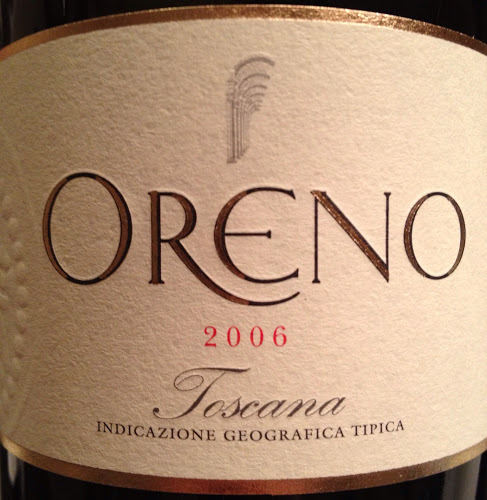 The 2009 rendition of this wine was rated 91 points by Wine Spectator. I popped a bottle tonight and it's a very nice bottle of $15 Cabernet. I'd say 87-89 points in my book. They also had the 2009 Robert Mondavi Napa Cabernet for a little over $18. That's nothing new, but as we wander around the wine world seeking out obscure producers, Mondavi is one to come back to for palate calibration. I'll let you know if it's worth mentioning when I open it but I expect it to be what it always is: A solid Napa Cab for less than $20. Finally, the Vieux Telegraphe CdP has clicked over to the 2009 vintage. At $58.99 it's on par with nationwide low pricing, but 2010 is a regarded as a better vintage. Maybe buy a bottle of the 2009 and stalk the bin to see if it ever clicks over to the 2010 vintage. Let us know if it does in the comments okay? Don't forget - Scoop the Spectator 2012 runs through Friday. Get your entries in if you haven't already. I've got a bunch of good stuff in the hopper for future posts including a write-up on the best California Pinot Noirs available at Warehouse clubs now. The suspense! Subscribe to the WWP to receive new posts via email. Our Scoop the Spectator 2012 contest runs for another week so you still have time to get your guesses. We're playing for a $200 gift card. $200! Check it out and if nothing else you'll find some great wine picks. I've updated each of the entries (hit the comments and look at the replies for each wine) with wine-searcher.com links to make it easy to check retail availability of each of the wines. I'm sensing some panic buying occurring for wines like Donjon with folks sensing they want to buy their favorites before they might win and prices shoot up. Combined with Parker releasing his 2010 Rhone ratings yesterday these 2010 CdPs are hot. If you're like me, you buy wines at all price points. Sometimes you might feel like you need to spend more than $30 to get a memorable bottle of wine. Other times you find a tasty value wine and you wonder why you'd ever consider spending $50 on a bottle of wine. I thought it would be fun to compare two seemingly incomparable wines. A $100+ Tuscan red and a well regarded sub-$10 value play from California. This shows shades of brilliance but at its core it's still a Tuscan red: Brooding and relatively reserved aromatically, especially in its youth. Layers of aromas -- inviting dark fruit, tar, bay leaf -- reveal themselves bits at a time, but this may need more time to come out of its shell. Rating it for now. Sweet fruit, brambly berries, and a hint of briar patch dustiness on the nose. This continues on the palate but are joined by a touch of appealing earthiness, hard candy, and caramel apple. The skeptic might sense some artificial influence here. But if it's manipulated, it's well manipulated. You know what? I may have enjoyed the $8 a bit more at times. Lots of delicious flavor. No fuss. No guilt. 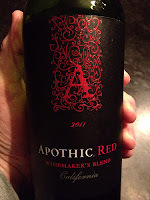 I'm not saying the Apothic Red is better than the Oreno. I'm just saying that sometimes $10 is all you need to spend for a perfectly enjoyable bottle of wine. 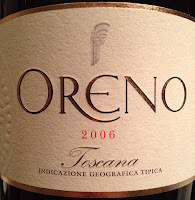 And if you don't find yourself in a situation to truly enjoy a wine like the Oreno it may be a waste of money. Footnote: What's up with the price of Oreno in Massachusetts? It sells for over $100 here and I regularly see it offered in other states for around $50. Even as low as $40. And often in California - further from Italy. I know it's different distributors offering it at different prices in different states so retailers aren't to blame. But c'mon - how can consumers be expected to buy from local retailers with price disparaties like this? I'd estimate there's a 60% chance a 2010 Rhone is named Wine Spectator's Wine of the Year this year. And a 40% chance that wine will come from the Southern Rhone - specifically Chateauneuf. If that happens to any of the 4 wines listed below there is no chance you'll be able to buy them for less than $100/bottle so it might make sense to buy some now before the opportunity gets away. One thing that's nice about being on the buy side of the wine game is that you can be selective about how you buy wine. You only have to swing at the perfect pitch. Here are 4 2010 Chateauneufs Wine Spectator rated 95+ points, have a release price of $100 or less, with 1,000 or more cases produced. They're good buys and they're good picks for Scoop the Spectator. One of these hasn't been guessed yet! St. Prefert seemed to crush it across the board this year. All of their wines scored well relative to their production levels and price points but this one seems to hit the sweet spot. I like the way Donjon produces a single bottling rather than fracturing up their offerings in a confusing manner. But beware that this 2010 isn't as approachable in its youth as the gregarious 2007. That said, I've adored their brambly style across several vintages and this is my favorite play in Chateauneuf. Although this carries a $66 release price, it's available for around $50 if you look around. But it's drying up quickly. Recommendation: Buy now from a favored retailer. Even if it doesn't win the top spot it's a great buy at $50. Give it the time it needs and enjoy it over the coming decade. While it's aging consider buying some of the amazing 2007 - you can still find some if you look around. I put this wine on par with Donjon in terms of prestige. It's fantastic. But it's also a little pricier. I've often seen off vintages of this wine in the mid $50s at Costco but better vintages don't seem to make it there. Recommendation: Buy selectively in the low $60s. Even if this one wins and it escalates into the $150+ range, it's not like $60 is an affordable wine. I have no experience with this producer but I love the metrics. Parker rated it 92-94 points so it's not like Spectator's 95 is an anomaly. Nobody has guessed this one in Scoop the Spectator yet! Recommendation: Give it a try. A $40, 95 WS 2010 CdP? Sold.